Rompers are the best and fastest way to look super cute besides a dress. This summer I think that rompers and I are going to be biffles (best friends) lol. 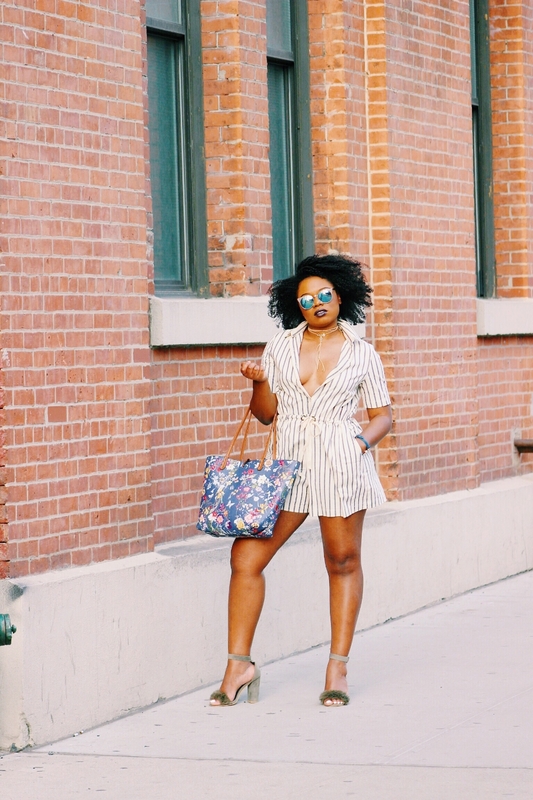 When wearing a romper all you have to do is look for shoes to go with your ensemble. Accessories are always optional but I do think they give the outfit a bit more character. 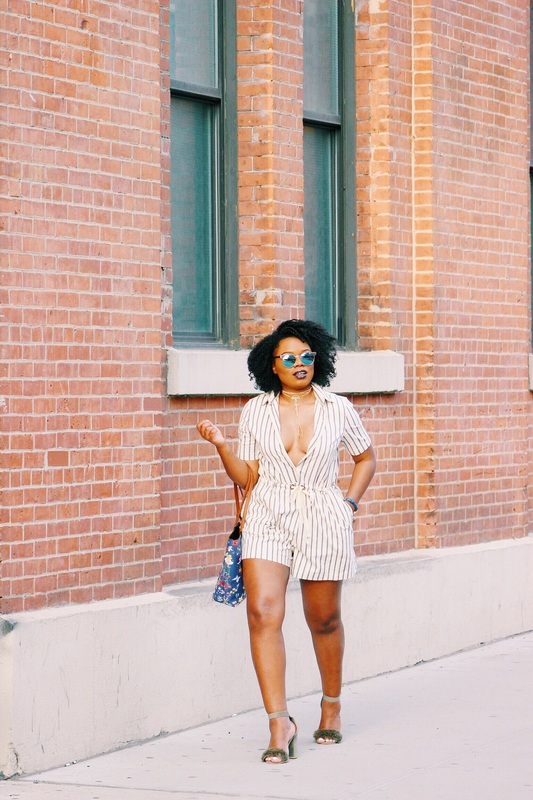 This romper is super affordable and very much comfortable. 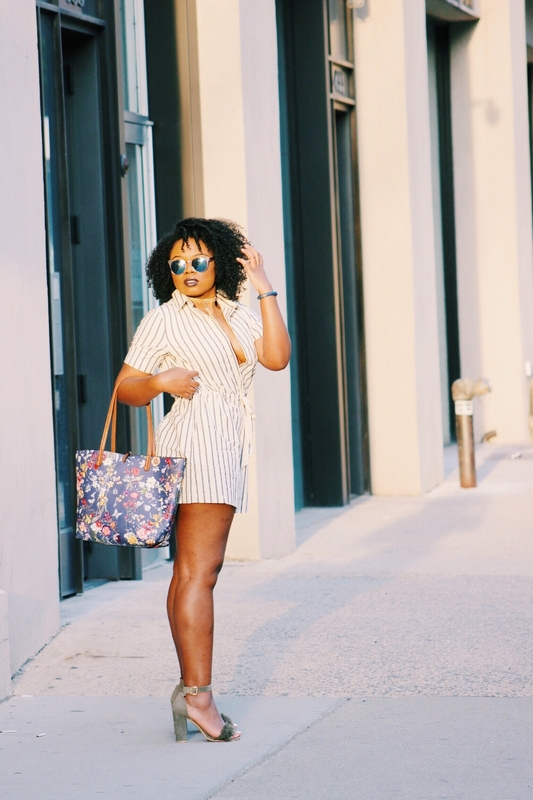 I love the detailed strips of this romper so I took advantage of it by doing a bit of pattern blocking and wore a floral bag. This bag is a super cute reversible bag that I received from Macy's new store called Macy's Backstage. They literally have so many affordable items and all at a discounted price. The only catch to that is they don't have an online store yet (sorry) but they will soon. In the mean time you can check out their website and see the opened locations. Overall I think that this outfit is super easy to achieve and I'll have all of the links down below to make it even easier. I hope you all enjoy this outfit as much as I enjoyed wearing it!